Welcome to the Lewis County, West Virginia government website. Lewis County, the heart of the state of West Virginia, is located in the North Central portion of the state in the mountain lakes region. We are home to two municipalities, Weston and Jane Lew. 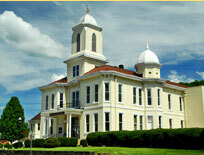 Our courthouse is located in the county seat, Weston, at 110 Center Avenue. FROM THE ASSESSOR: Please click the following link to access the Assessor’s new website. 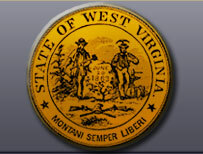 https://lewis.wvassessor.com/. As of July 1, 2017 assessment forms can be filled out online! NOTE: The Lewis County Clerk's Land Records are online. A link is located above in the Links. Deeds are indexed back to 2003, all other records are indexed from July 1, 2011. Inquiry Index prior to July 1, 2011 has not been verified. Releases and assignments are not marked on the scanned documents. They are marked on the indexing system and on the actual hardcopy pages located in courthouse.